We recently just got back from our big family vacation out east. We spent some time visiting my in-laws and enjoying the scenery from up top of the mountains. If you've never visited Vermont or New Hampshire I highly recommend adding a trip out east to your bucket list. Both have absolutely beautiful views from the mountains among other great sites. 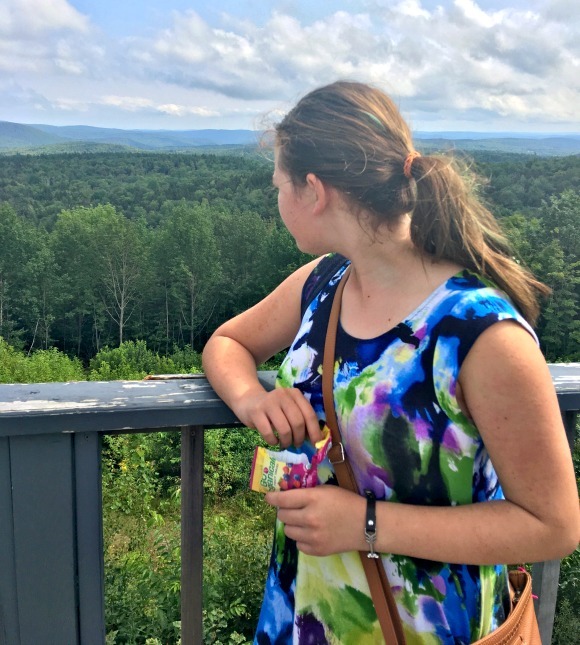 When we travel out east we always stop off atop one of the mountains in Vermont and just take a little time to enjoy the view around us. Oh, and of course have a snack while we are stretching our legs. I mean what better time is there to treat yourself with a snack then when you're taking a breather from traveling. 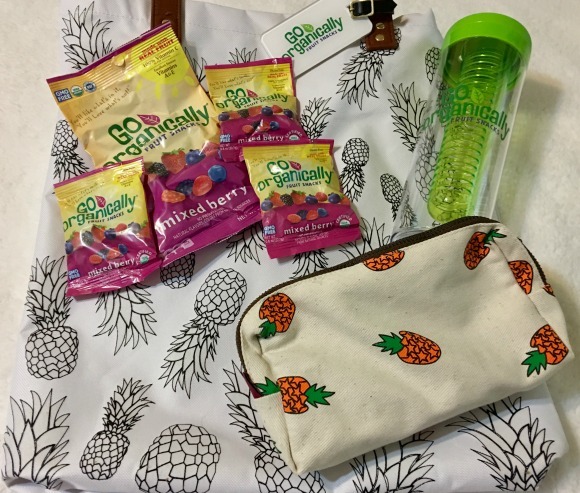 The good folks over at Go Organically® Fruit Snacks were kind enough to send me an awesome tote bag filled with summer essentials to help us enjoy our trip. I have to say those fruit snacks came in handy more than once as we were traveling. My daughter seems to always be hungry at the strangest moments..like when we are up in the mountains and there's no place in site. Thankfully I kept the cute little pineapple pouch in my purse filled with fruit snacks just for those moments. So I owe a big THANK YOU to Go Organically® Fruit Snacks for saving me during my daughter's "snack attack" moments. Fruit snacks are a great pack-along item because you can stow them away anywhere and not have to worry about them being crushed or melted.